Lonadsay Portland by Mallica Reynolds – £4400 at Harry Moore Gwyn’s sale at 25 Blythe Road. While the former movement references Jamaica’s trained artists, more often exposed to art trends abroad, the latter consists of largely self-taught artists who maintain strong links with African forms of expression and are predominantly closed to external influences. Mallica Reynolds (1911-89), better known as Kapo, is one of Jamaica’s foremost ‘intuitive’ painters. 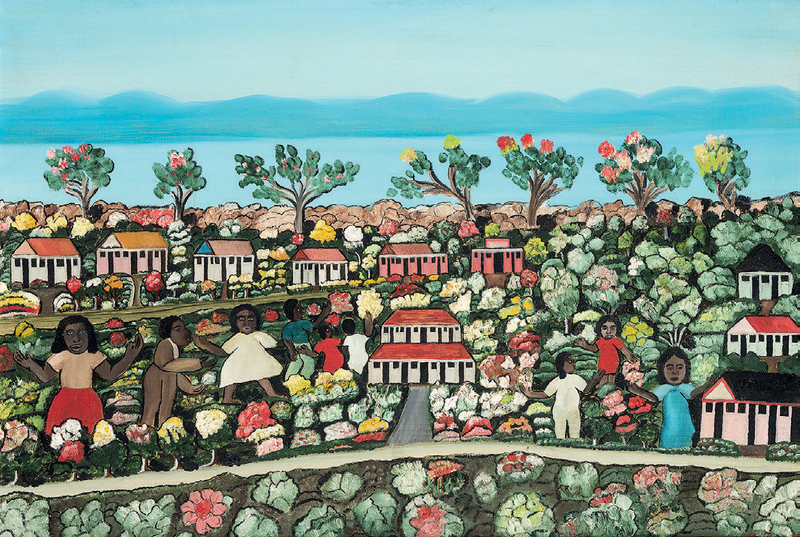 In 1981, Kapo’s painting Shining Spring was chosen by the government and people of Jamaica as a wedding gift to Prince Charles and Lady Diana. The artist’s work made a rare appearance at auction in a picture sale held by Harry Moore Gwyn at Blythe Road (20% buyer’s premium) in West Kensington on October 17. The 18½in x 2ft 3in (47 x 68cm) oil on panel, titled Lonadsay Portland, was painted in 1967 and was given by the artist to the vendor’s family. Given a guide of £400-600, it was eventually knocked down at £4400. 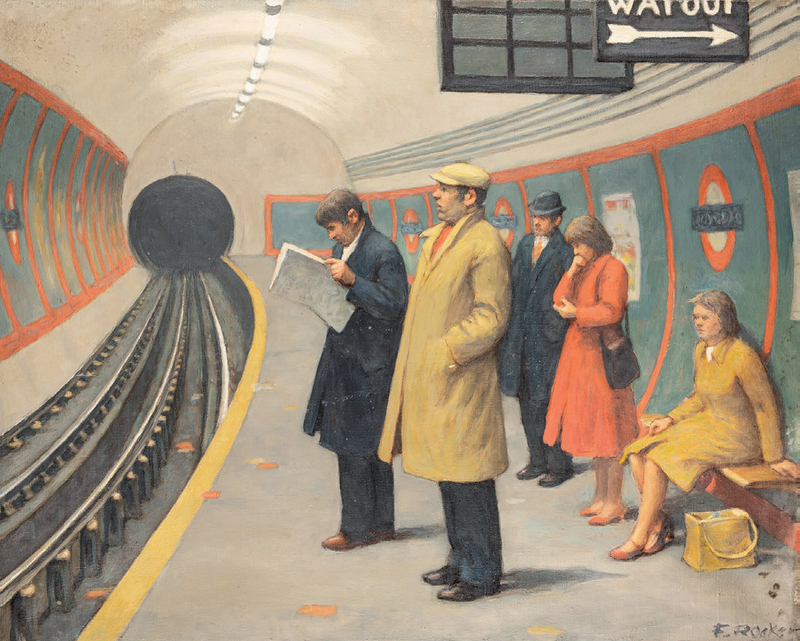 A London Underground Platform by Fermin Rocker – £2700. Another artist whose works seldom appear at auction is Modern British painter and book illustrator Fermin Rocker (1907-2004). The work on offer was an undated 2ft x 30in (61 x 76cm) oil on canvas of a London Underground platform. It sold for £2700 against a £800-£1200 guide, among the highest prices for the artist at auction according to the Art Sales Index. The sale was led by a pair of architectural capricci oils, catalogued as ‘circle of’ the Italian painter Niccolo Codazzi (1642-93) and with provenance to a ‘Spanish noble family’. The duo were knocked down at £5500, nearly three times the top guide.